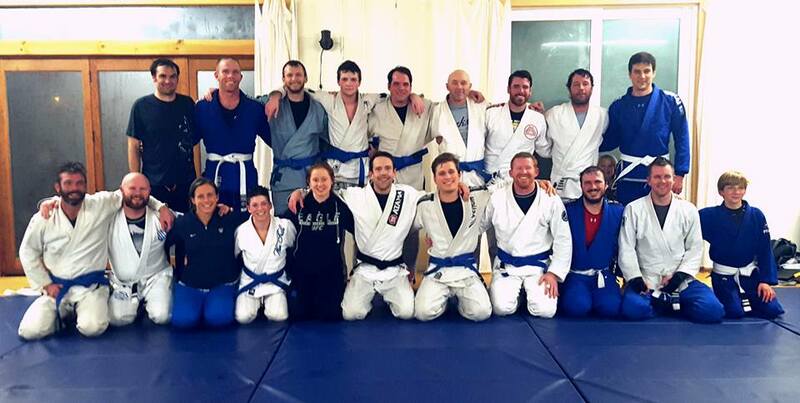 Congratulations to Our Latest Blue Belts! A HUGE congratulations goes out to our newest blue belts, Wes Duncan and Ethan Sklasky (below, 5th and 4th from the left respectively)! You have made us all proud with your poise and dedication. Thank you both for all that you have done to further our school and sport, and here's to many more years of hard rolls and great technique! Even though we only had four competitors, Zoo BJJ ranked in the top 10 of all schools that participated in the tournament this year! 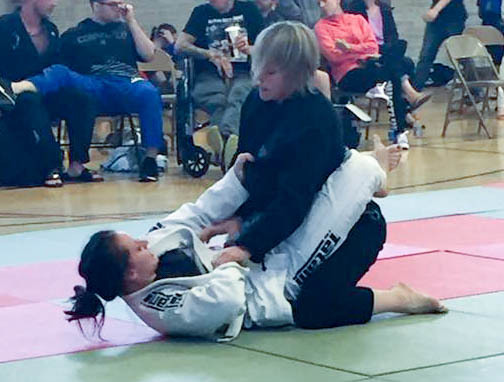 As a special note, Ella, one of our 11-year-old Griz Jitsu students, competed one weight class above her own, and competed in the boys division! 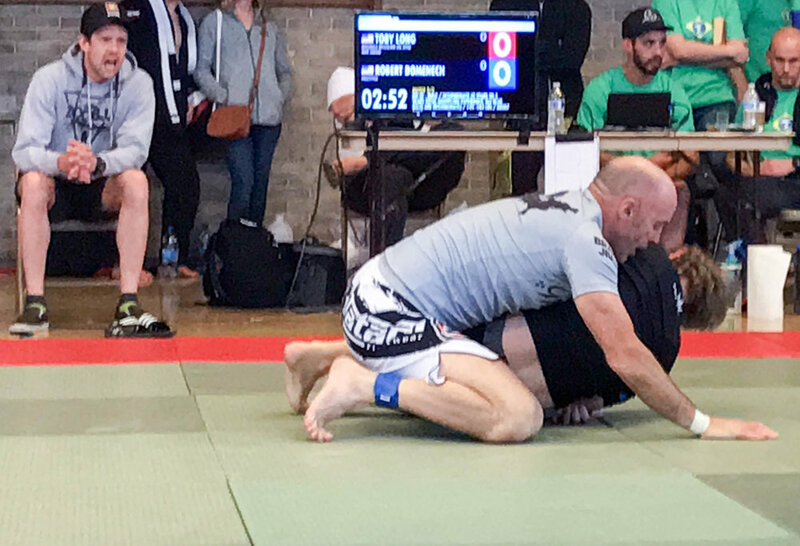 Want to get in fighting shape to compete in the next tournament? Contact us now and get a free week of classes! We will be closed Monday, Dec. 25th - Monday, Jan. 1st in observance of the holidays, and so our floor can get a fresh resurfacing. Normal class times will resume Tuesday, Jan. 2nd. Thank you everyone for a fantastic 2017 and enjoy the holidays! 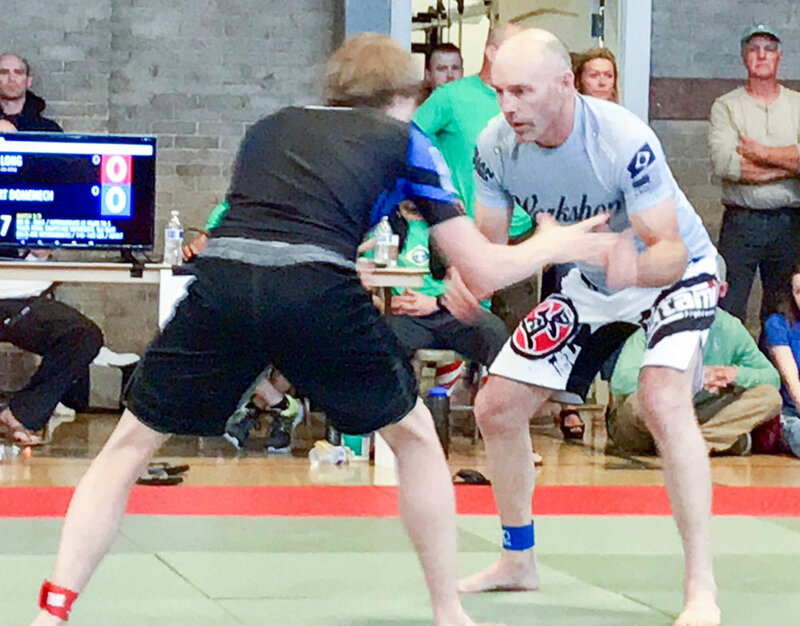 A big congratulations goes out to our three Zoo BJJ participants in this year's Bozeman Winter Classic! All three of you had tough brackets and did awesome!!! You represented us all well and we are super proud of all of you! Want to train with us? Check out the class schedule or contact us to get started! We will not be having regular classes Thursday, Nov. 23rd through Saturday, Nov. 25th. Regular classes will resume on Monday, Nov. 27th. Check out the schedule or contact us for a list of all class times. On top of the upcoming NorthwestOpen tournament in Spokane in January, there will also be a tourney in Bozeman. The Bozeman Winter Classic will take place Dec 9th and includes men's & women's gi and no gi competitions. The registration fee is $40 to enter both gi and no gi divisions. Find out all the nitty-gritty details at https://smoothcomp.com/event/401. As always, you can check out our schedule here to find what time suits your training schedule best. You can also see our different programs here. We have something for everybody, so don't be shy and join a class! The BJJ NorthwestOpen Tournament in Spokane is currently accepting registrants. There will be both Gi and No Gi divisions. Registration is $50 for one division, or $60 for both. These tournaments are a lot of fun and some of our students have definitely shown some interest in attending! You can visit the NorthwestOpen homepage for all the details. Check out our schedule and sign up for a free class. Happy training! Inspiring performances by everyone that competed yesterday!! Win, lose, or draw you stepped on the mat and battled with tons of heart and had some fun too!! Also, big thanks to the entire team that helped everyone train for the competition and those who came out yesterday to support, great team effort!! 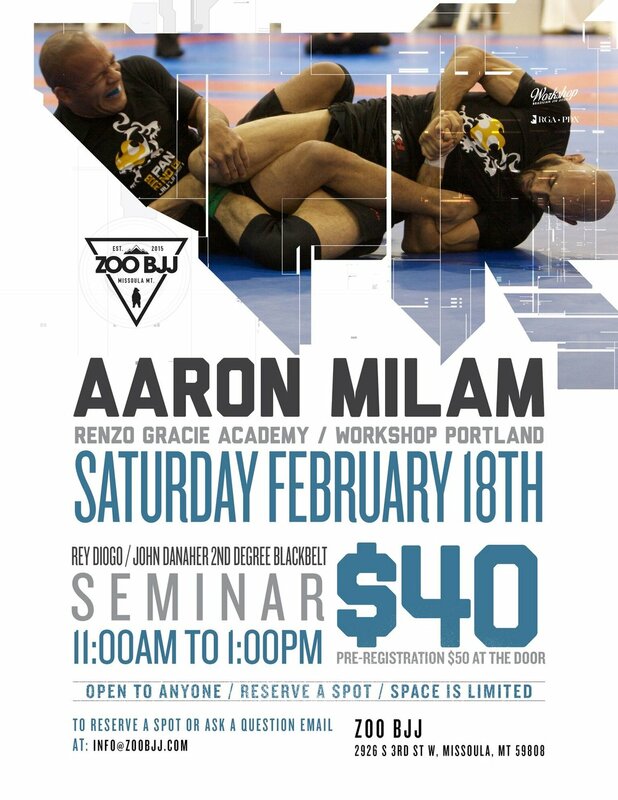 We're excited to host Aaron Milam, owner and head instructor at Renzo Gracie Portland/Workshop Portland for a seminar Saturday, February 18th. $40 for a 2 hour seminar with Aaron is a steal!! We only have a few open spots left so let us know ASAP if you want to attend. We're excited to announce our newest program for kids, Cub-Jitsu!! Classes start September 7, 2016 and will be held Mondays and Wednesdays from 4-4:45pm. New member discounts will be available for the first few students. Call (406) 647-0255 or email info@zoobjj.com for more information. Happy Thanksgiving! Just a reminder we'll be closed Thur-Sat and back on the mats Monday. Enjoy the good food and time with friends and family! !